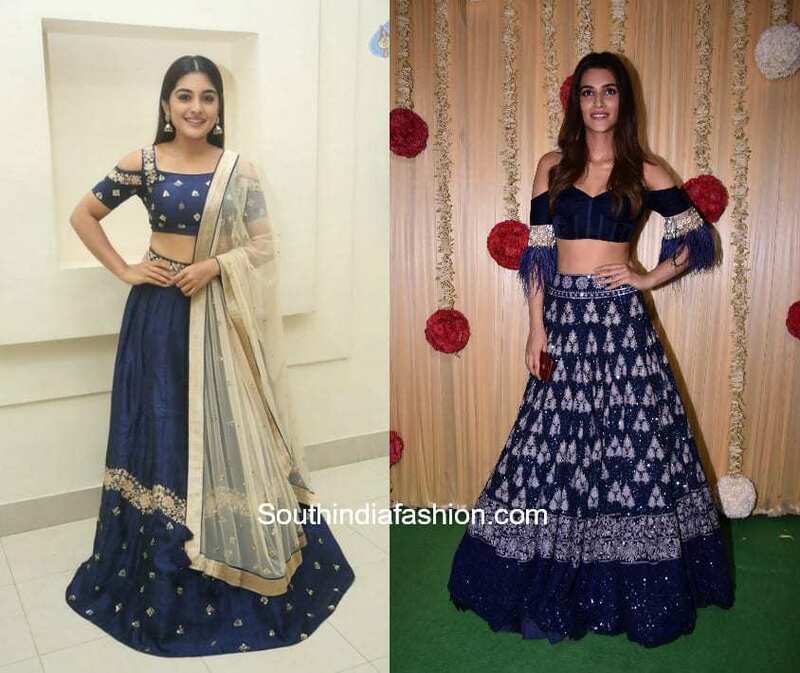 2017 gave us some super hit lehenga trends. But guess what? These are only getting bigger and here to stay this 2018. No Indian occasion is complete without a classic lehenga ensemble, so if you are a wedding guest, a bridesmaid or a bride, we are here to the rescue. 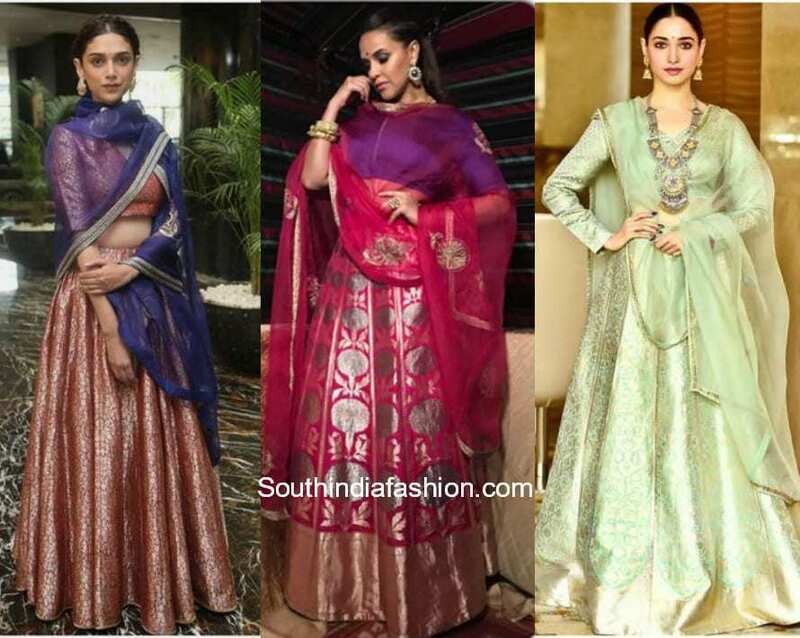 This article will help you to choose the latest lehenga designs based on your style, body silhouette and of course the current trend. 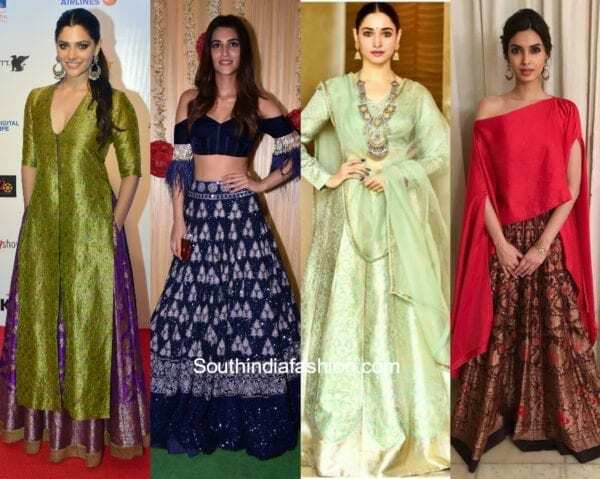 So here are some top 5 latest lehenga trends of 2018 that you must consider. 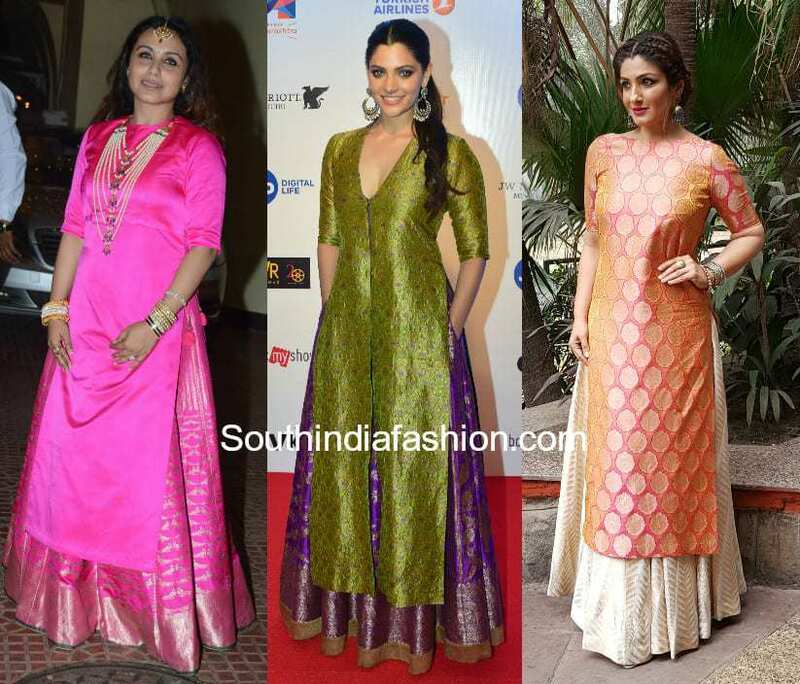 The classic kurta lehenga trend has been here since quite sometime and are just getting bigger by the day. You could mix and match your existing long kurtas or simply customize a long kurta instead of a lehenga blouse. This style suits almost every age and every body silhouette and looks best at traditional occasions like mehendi, sangeet and such festive occasions. Bold accessorizing is always a good option with this style. However it entirely depends on the color contrast of the lehenga ensemble. 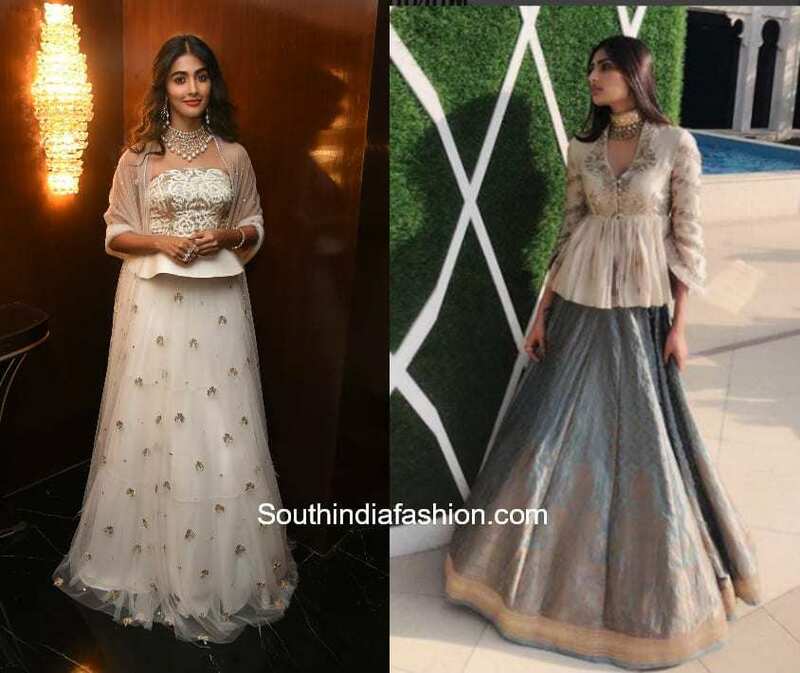 If you choose for a single color skirt and top then go bold with the jewelry and if you go for a heavy lehenga skirt or kurta then make sure you balance your kurta lehenga look. The cold shoulder trend is seen on almost every outfit and looks extremely graceful and elegant on your Indian wear. Lehengas with cold shoulder blouses add an instant touch of glam to your ethnic look. With the right design, you could go traditional with a cold shoulder lehenga blouse or try out edgy and stylish cold shoulder lehenga looks. This style looks very beautiful on youngsters or anyone with a slimmer silhouette. If you are a bridesmaid and want to make a subtle statement then this style is sure to impress you. 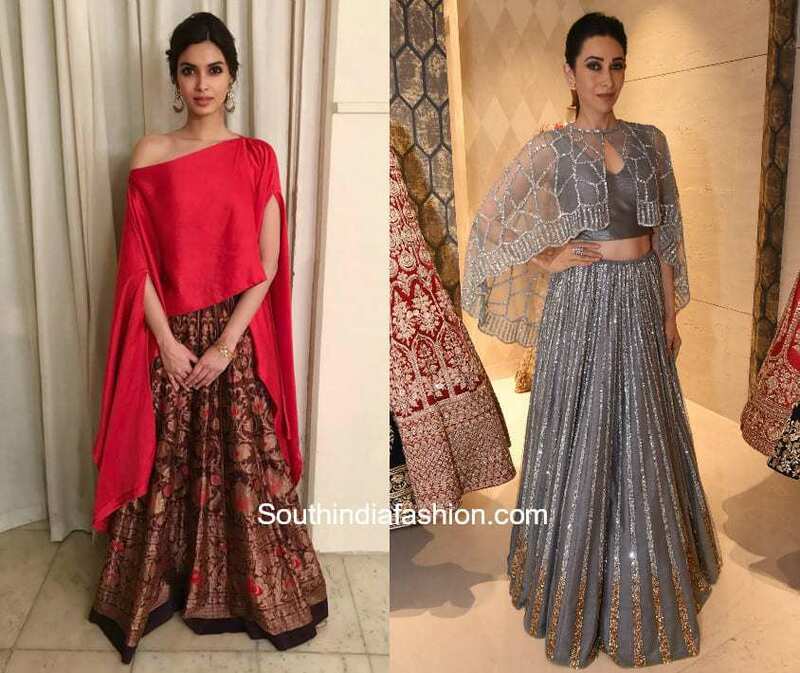 Bridesmaids outfits, wedding guests outfits, wedding reception outfits are just so much more glamorous if you are confident enough to make an edgy statement with the cape lehengas. The contemporary fusion style is best suitable for taller and slimmer silhouettes but again, it all depends on the right amount of confidence to carry it off. If you are on the heavier side then you can go for a kaftan style cape as it will help you to camouflage your silhouette. This style looks very modest yet trendy and also allows you to skip on your dupatta thus making your lehenga look hassle free. Peplum lehengas are not an easy one to pull off but are definitely worth the risk. This style is for the slimmer silhouettes and based on the design, you have an option to skip on the dupatta. The classic silk lehengas are drool worthy and a must try for every lehenga lover. The royal fabric is super versatile and will element elegance like nothing else. Be it any traditional festivity, mehendi or sangeet function, wedding or reception, the silk lehengas are sure to leave you impressed. If you want to maintain a subtle look then go with silks in pastel colors. This style suits best for day functions. And if you want to flaunt a vibrant look in your silk lehenga, then go for bold contrast colors. These super trendy and versatile styles are here to rule this 2018 and you are sure to find your perfect style.